#BadPsychics: Proving "Ghosts" Exist Scientifically - Was Your Experience Really Paranormal? 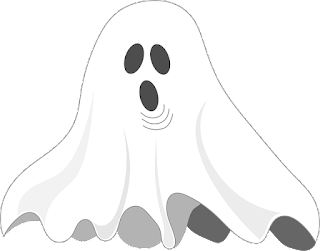 Proving "Ghosts" Exist Scientifically - Was Your Experience Really Paranormal? Proving ghosts exist scientifically. Is it possible? Do ghosts exist?How can we prove the paranormal? In this video I'll explain why it's not impossible to prove ghosts exist through science. We'll also talk about accepting ghosts to be real. Maybe you had a paranormal experience, but was it really paranormal or just plain normal? Our poor ability to observe reality can make us think there is a ghost, while really there is another explanation. Does that mean ghosts don't exist? No, but it does mean that many ghost sightings are not really ghost sightings. We'll also talk about why we shouldn't believe in ghosts based on faith alone. The current tools paranormal investigators use are often flawed. It seems they are intentionally designed to rely on pareidolia, confirmation bias and other psychological phenomena. Tools like the ghost box, EMF meter and ITC photography can produce a lot of results, but unfortunately a lot, if not all, of these results will be false results. This is great when hunting ghosts for entertainment, but not to gather scientific data. So how can we prove the paranormal? We need to use more reliable tools to make observations that don't rely on our poor ability to judge reality.